Buy Online or Call Freephone For Home: 0800 085 4961 | For Work: 0800 085 4878 or click to chat. Supersonic power. Turbo boost capabilities. Commanding design. 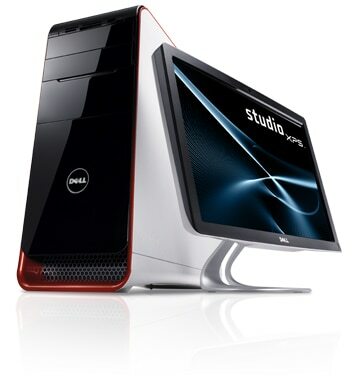 The new Dell Studio XPSTM 435 is Dell’s flagship multimedia desktop. Breakthrough performance. Bold design. Immense expandability. The level of performance alone will blow you away as you engage in some of the most demanding entertainment and digital content. 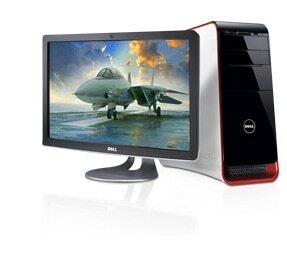 Your needs are also surpassed with a design that provides the highest level of expandability DellTM Studio desktops have to offer. All of this is showcased in a bold, angled design trimmed with Brilliant Crimson Orange accents that command your attention. Intel® CoreTM i7 and i7 Extreme desktop processors power through intense multitasking ― up to 14% faster* ― by handling multiple applications simultaneously without ever breaking a sweat. Matched with the Dell Studio XPS 435 desktop, the power and performance you’ve come to expect from XPSTM premium systems has now been surpassed. Go further without leaving your chair. Intel® Dynamic Speed Technology delivers an 8-threaded performance capability on 4 cores, so you can multitask with greater efficiency than previous processors. So whether you’re surfing the web, recording television shows with your optional TV tuner* or editing video content, your system will keep running smoothly even if you’re attempting it all at once. The tri-channel DDR3 memory allows you to work at high speed without ever having to put on the brakes. 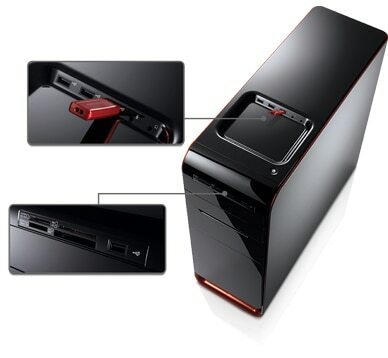 It comes equipped with 6 DIMM slots for expandability and an integrated memory controller. So as file sizes increase, the greater RAM capacity helps keep things moving at high speed. Bring your screen to life with a high-performance ATI RadeonTM HD4870 1GB graphics card. * Experience stunning realism on the Dell Studio XPS’s first graphics card with GDDR5 memory. Whether you’re a digital content creator or a gamer, you’ll be blown away by the cutting-edge graphics that are setting a new standard for visual computing. With an optional Blu-ray DiscTM drive and integrated 7.1 audio, the theater comes to you. Expand your screen by connecting to an external monitor or TV using the HDMI port. Then, sit back and relax — the Dell Studio XPS 435 has a built-in infrared receiver so you can control your media center with a remote control. When you decide to grow, the Dell Studio XPS 435 desktop grows with you. With 6 DIMM slot – for up to 24GB of available memory, and 3 hard drive bays for up to 4.5TB* of storage, the Dell Studio XPS 435 provides the highest level of expandability that Dell Studio desktops have to offer. A 475W power supply supports performance-class graphics and high-end processors with power to spare. If that isn’t enough, additional bays and slots allow for future expansion. 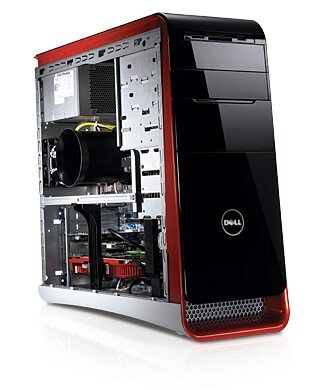 The Dell Studio XPS 435 desktop was designed with you in mind. Its angled stature provides easy access from above while its recessed media tray offers 3 convenient USB ports for your portable devices. With its back handle and front scoop, lifting and maneuvering the Dell Studio XPS 435 can be done with ease. Toolless entry helps make upgrades virtually effortless. And it doesn’t stop there. 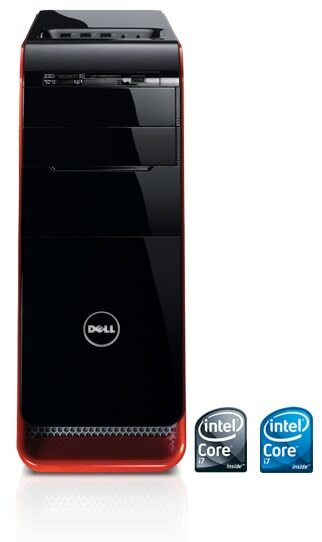 The bold look of the Dell Studio XPS 435 desktop is tailored in Pure White and Translucent Black with Brilliant Crimson Orange accents. Exemplary service is standard with XPS products. Dell XPS technicians pass rigorous XPS product-specific training, and support calls are normally answered in 2 minutes or less.